Sometimes SASB is used to validate other instruments. 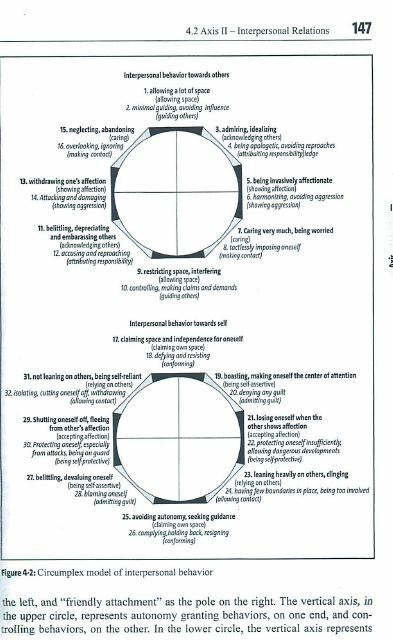 Sometimes its structure is inherent (and explicitly acknowledged) in alternative ways of assessing psychological constructs related to clinical issues. SASB is part of the method for describing interactions in the CCRT (Core Conflict Relationship Themes) system by Luborsky, Crits- Christoph and others. My suggestions and materials while serving as an advisor to the DSM-IV Axis II (personality disorders) task force were based on my use of SASB in research and clinical practice. 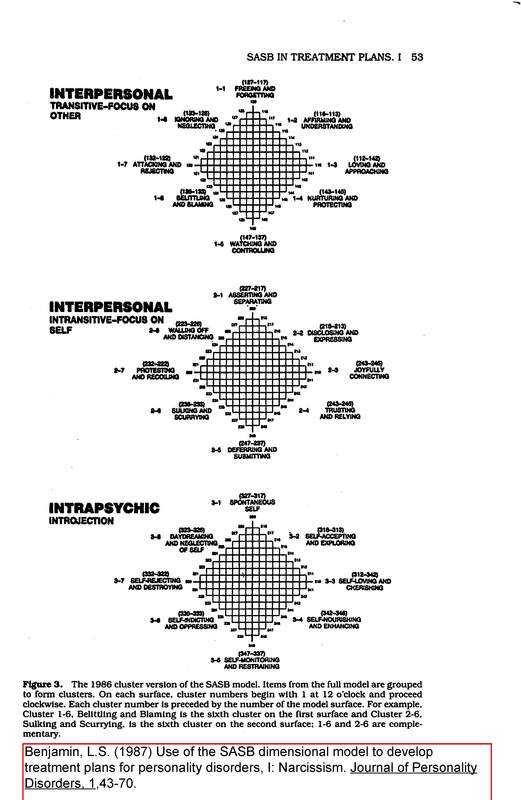 The perspective is summarized in my book on Interpersonal Diagnosis and Treatment of Personality Disorders (Guilford Press, first edition 1993). Hopefully in the summer of 2013 I will find time to prepare a third edition at the request of the publisher. I propose to link the book’s descriptions of personality disorder to “natural biology” as described in my new (still in draft) book on Interpersonal Diagnosis and Treatment of Anger, Anxiety and Depression. 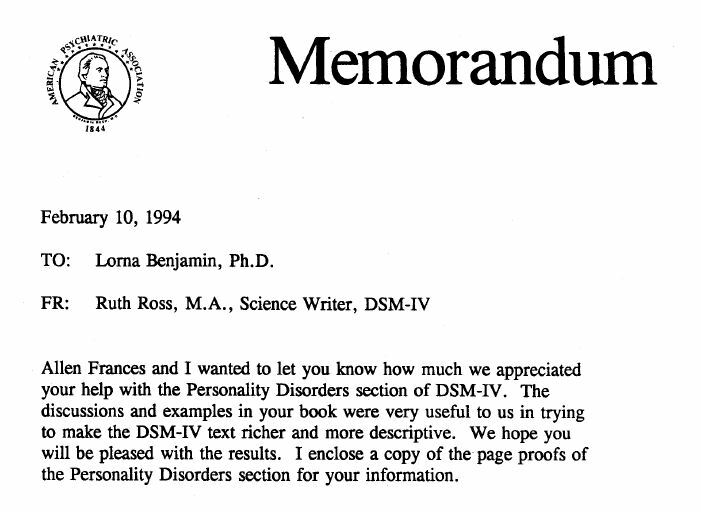 The editor and science editor of DSM-IV said that thee perspective in my book on personality disorders contributed to the DSM-IV. I appreciate that they took the trouble to send note confirming that comment.